The foundation of our society is the family. 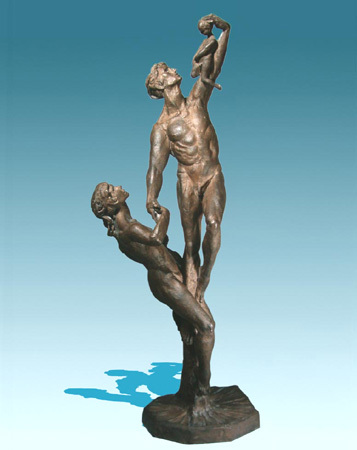 This early work of the sculptor reflect his own unfulfilled quest for family life. It reflect this spirit of giving and passing on from generation to generation.